A car flew off the road and crashed into a house in KwaMakhutha, south of Durban, on Thursday morning, said ER24. 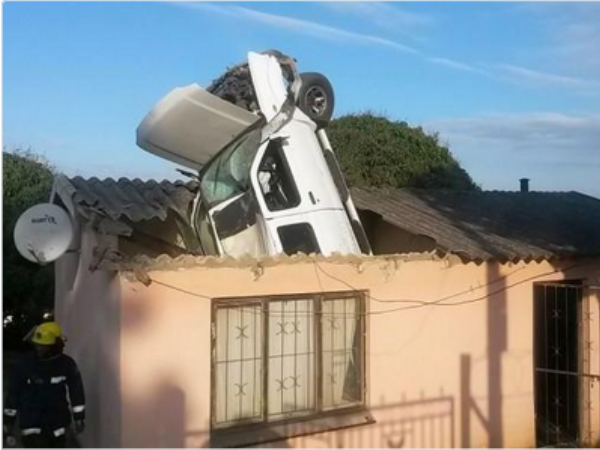 The driver of the vehicle said he drove over a “ramp” before crashing into the roof of the house, ER24 spokesperson Pieter Rossouw said. One person was sleeping in the house and was woken up by the car crashing through the roof. ER24 paramedics arrived on scene to find that the driver and occupant of the house were not injured. The cause of the accident is still unknown, Rossouw said.